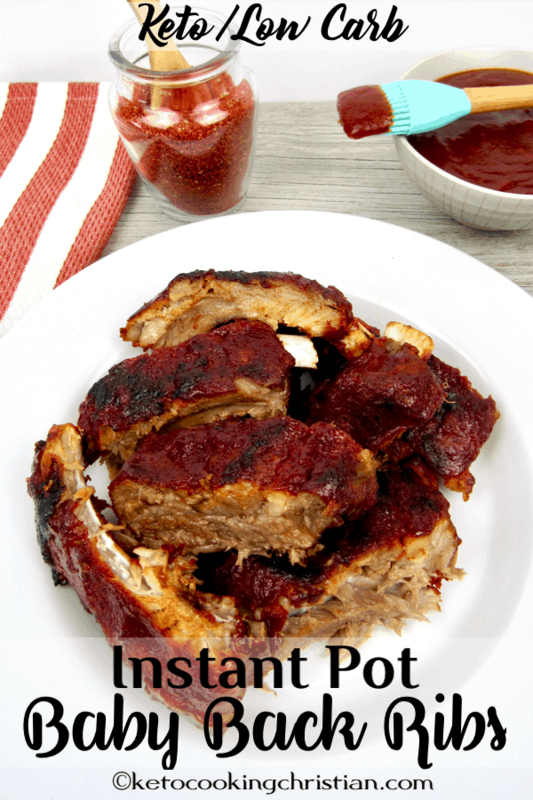 Tender and juicy fall off the bone baby back ribs seasoned with homemade dry rub and pressure cooked in the Instant Pot! After the ribs are finished pressure cooking, I slather them with barbecue sauce and broil for a few minutes to get slightly caramelized. 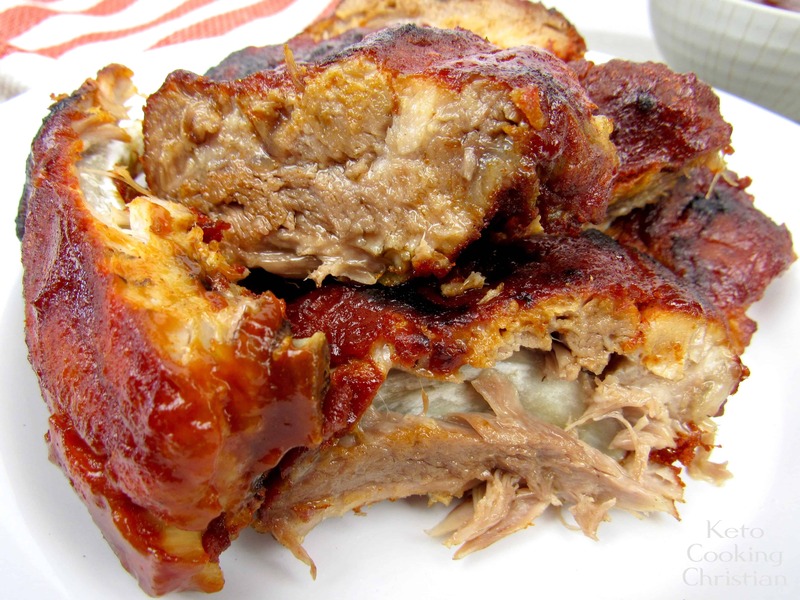 These ribs are very “set it and forget it”! 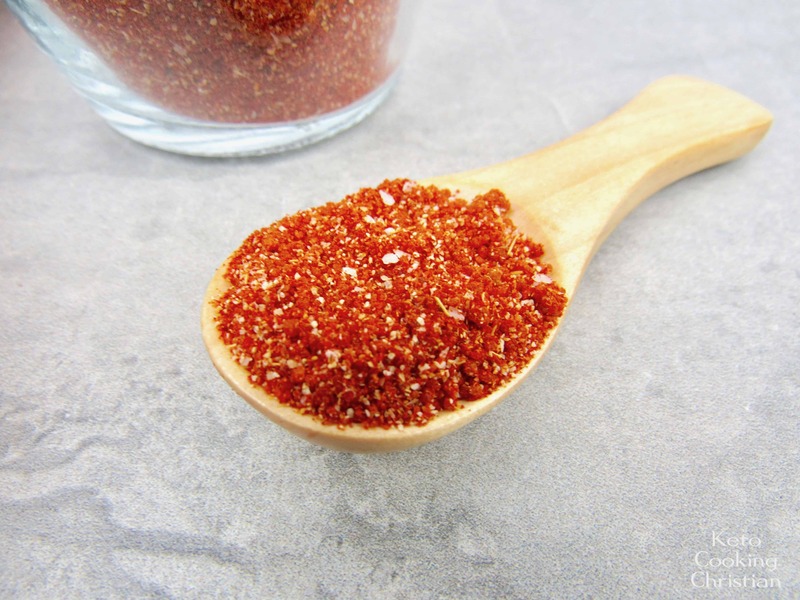 There’s not much work involved in making these and once you have mixed the barbecue spice dry rub, which is good for several batches, it’s literally a 2-3 minute prep on these before they are are cooking away in your Instant Pot! 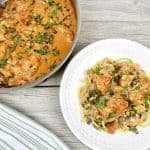 One of my favorite things about using my Instant Pot is how quickly it cooks things that would typically take hours any other way. 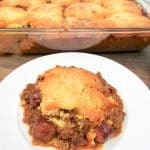 I make chili, chicken stock, pork shoulder, pot roast and so many other great recipes that are done in a fraction of the time! 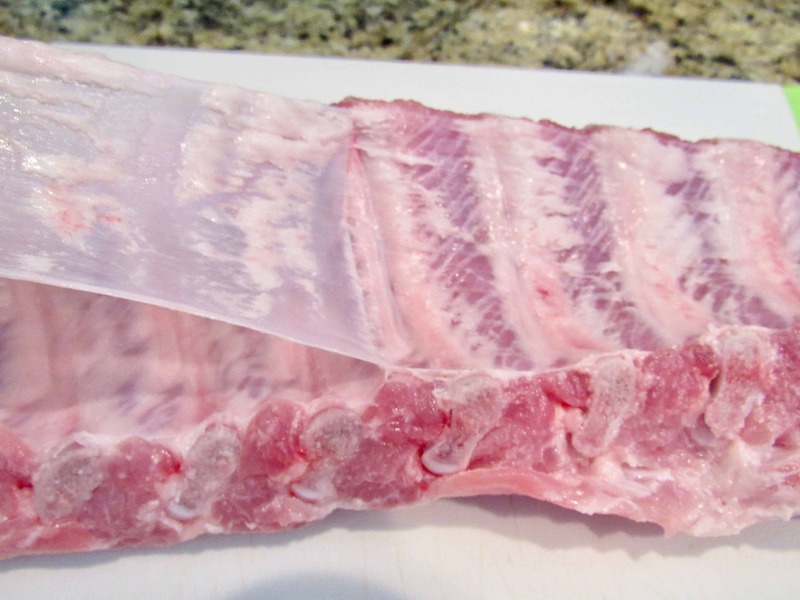 Remove the membrane from the back of the ribs and discard. Rub the dry rub all over the front and back of the ribs, making sure to completely cover them. 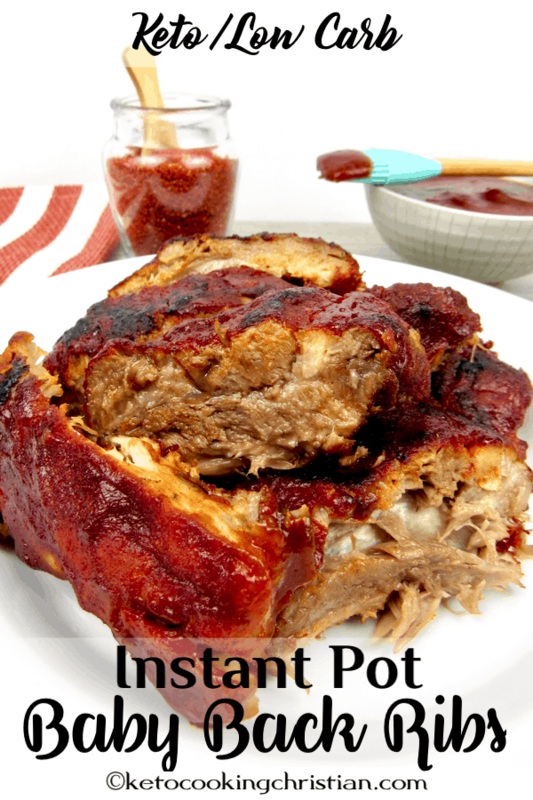 Mix the water, vinegar and liquid smoke in a cup, then pour in the Instant Pot. Place the wire rack inside and put the ribs on top of the rack, standing up. Lock the lid in place. Set the steam vent to “sealed”. 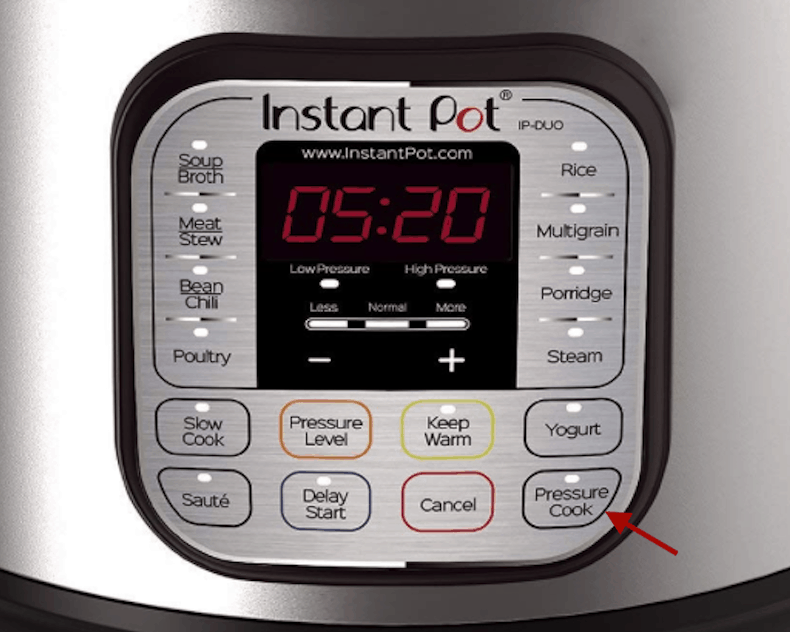 Pressure cook for 30 minutes, then allow to release the stream naturally for 5 minutes, then quick release. 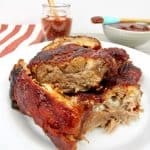 Place the ribs on a baking sheet and slather in your favorite Keto friendly barbecue sauce over the top. 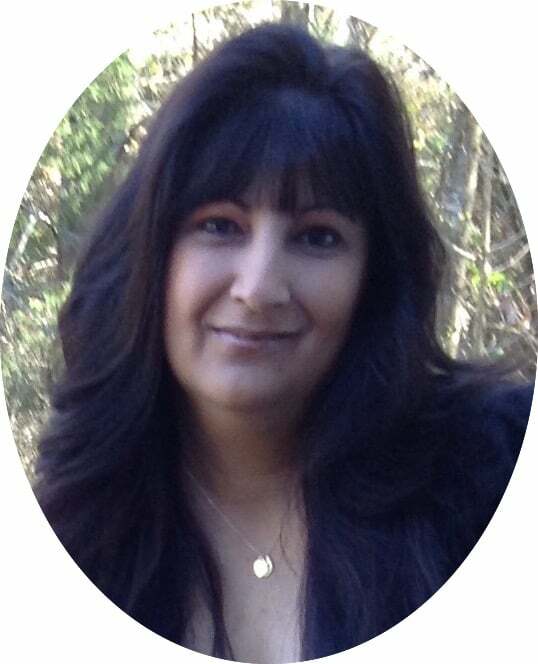 Mine were so tender, though I carefully pulled them out, they broke apart into several pieces. Super tender, which is what you want!! Broil for 5-7 minutes or until slightly caramelized. 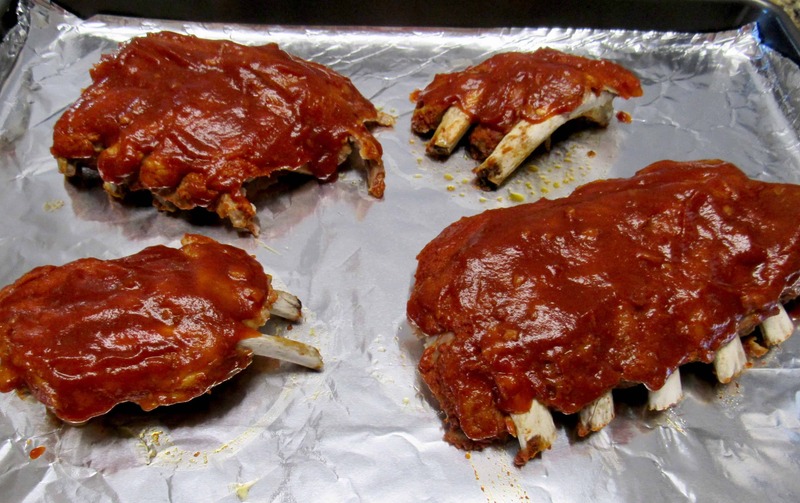 Note: Alternatively, you can finish the ribs off on the grill instead of broiling them. 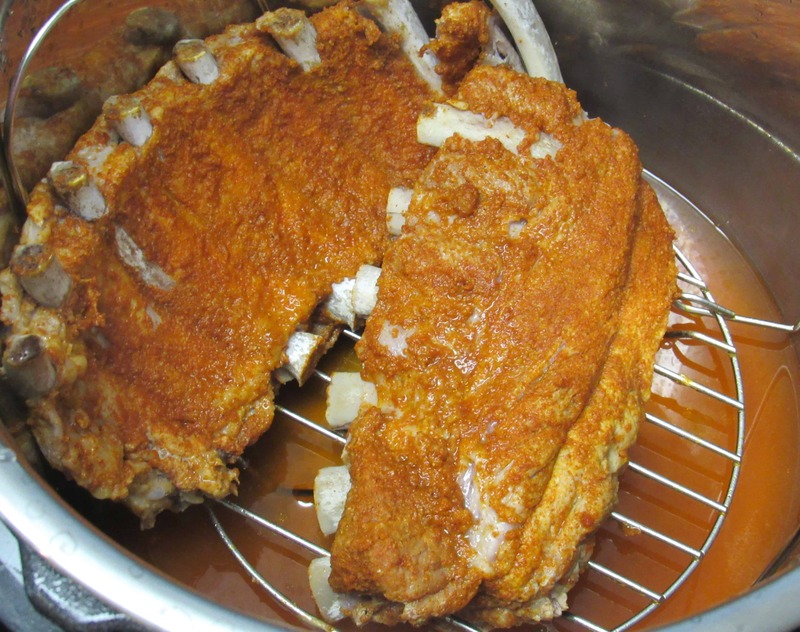 Remove the membrane from the back of the ribs and discard. Rub the dry rub all over the front and back of the ribs, making sure to completely cover them. 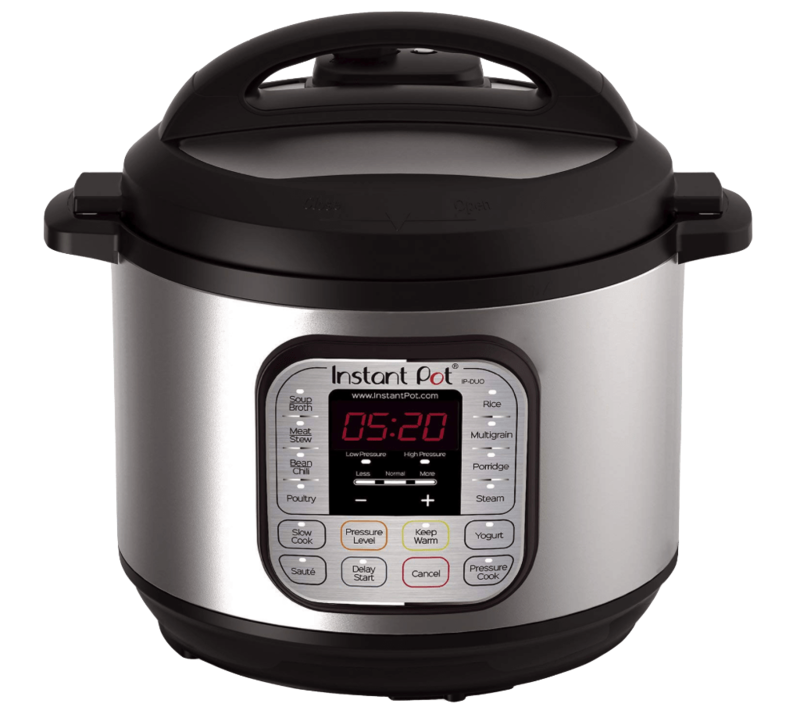 Mix the water, vinegar and liquid smoke in a cup, then pour in the Instant Pot. 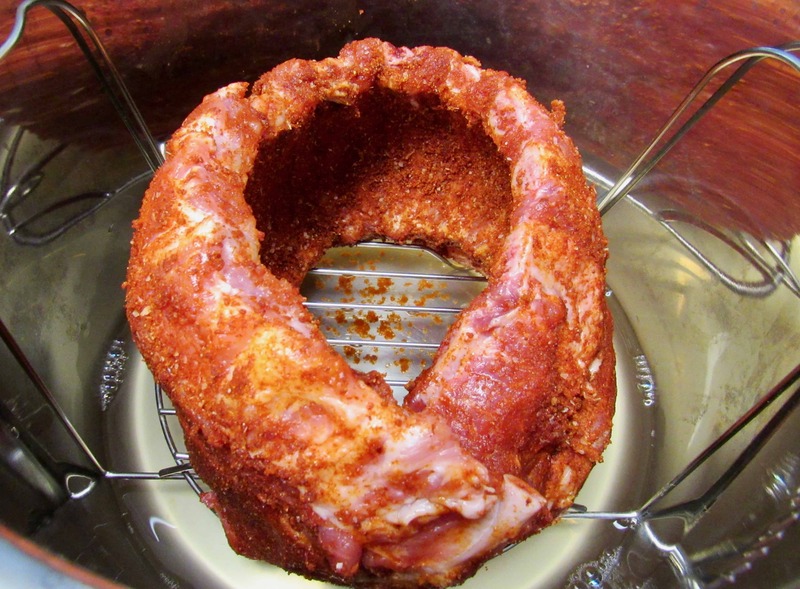 Place the wire rack inside and put the ribs on top of the rack, standing up.Lock the lid in place. Set the steam vent to "sealed". 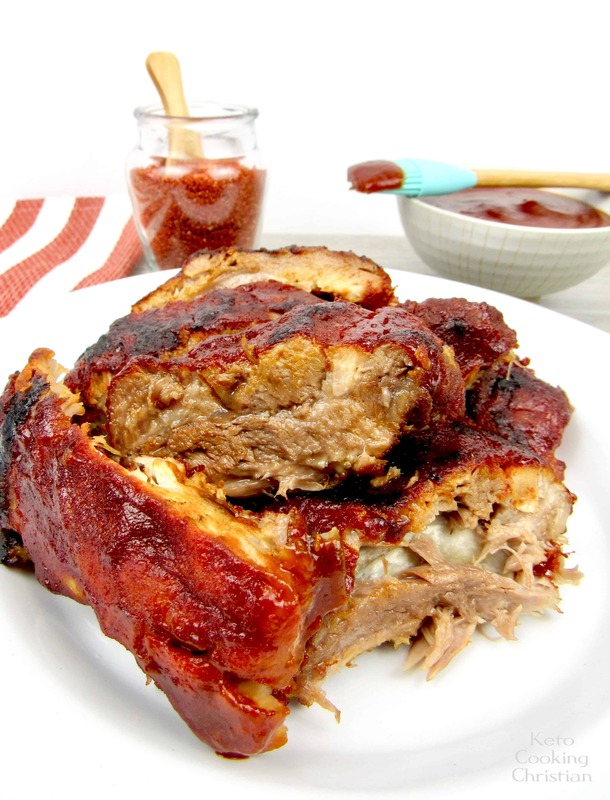 Place the ribs on a baking sheet and slather in your favorite Keto friendly barbecue sauce over the top. 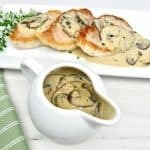 Broil for 5-7 minutes or until slightly caramelized. 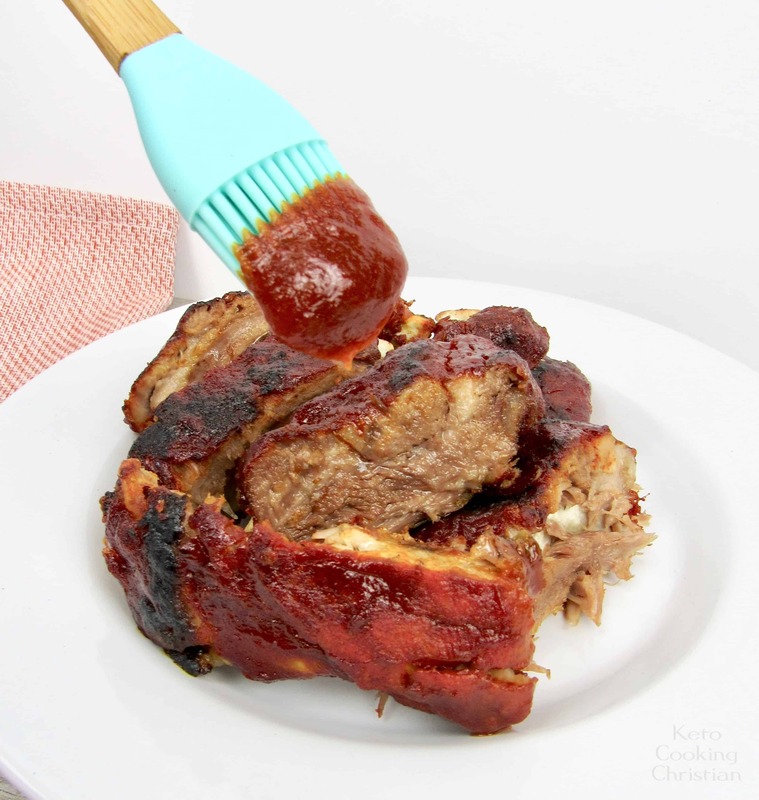 Alternatively, you can finish the ribs off on the grill instead of broiling them. *Macros do not include BBQ sauce, so please adjust according to the sauce that you use. 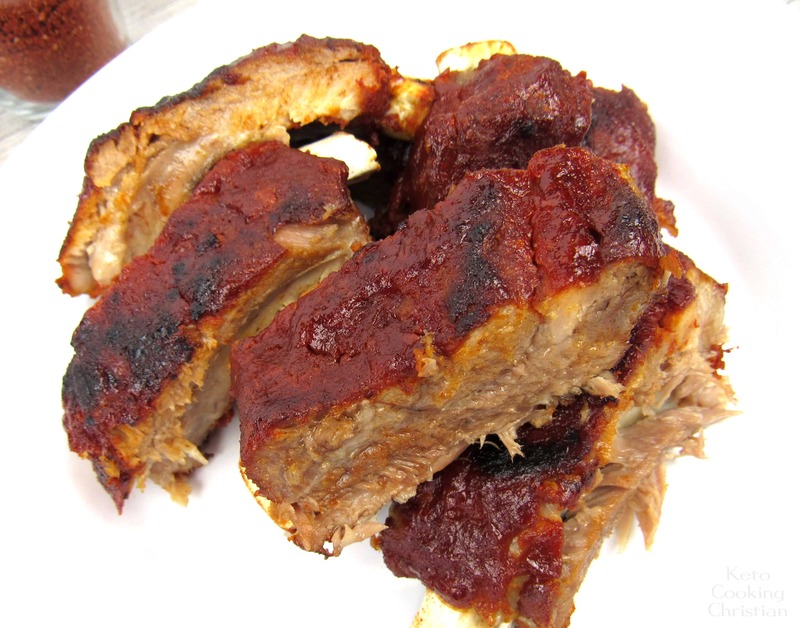 What bar-b-que sauce do you use? 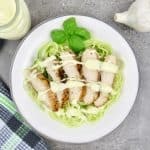 I actually make my own, but you can use any sugar-free sauce that you like. I haven’t published the recipe yet, I’m still refining it but hope to have it out before summer.